Microsoft Corp. said Monday it has reached a settlement of a class-action lawsuit brought by Minnesota customers who claimed the software giant overcharged them in violation of state antitrust laws. The world's biggest software company said final terms of the settlement were still being worked out. The deal will be presented to the state court in early summer, company spokeswoman Stacy Drake said. She declined to say whether the settlement would affect Microsoft's earnings. A message on a trial information line said the settlement would be presented in early July. The settlement interrupted a jury trial that was expected to last several more weeks. Attorneys for the plaintiffs had said they were seeking as much as $505 million. The suit alleged that Microsoft had violated Minnesota antitrust law by overcharging for its Windows operating system and its Excel and Word programs. The company had denied the overcharges, saying the prices on its products had dropped. Microsoft had previously settled with nine states and Washington, D.C., paying out a total of $1.5 billion. Cases in 16 other states were dismissed. A case brought by the federal government ended with a settlement in 2001 that found that Microsoft used its operating system monopoly to strong-arm competitors. 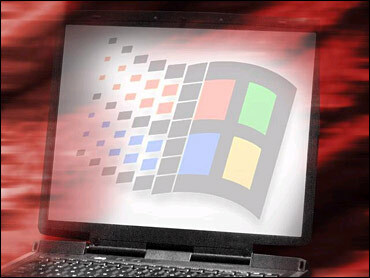 The trial judge ordered a breakup of Microsoft, but a federal court overruled the decision. It did, however, uphold the judgment that Microsoft held a monopoly with Windows. Late last month, however, the European Union declared Microsoft Corp. guilty of abusing its "near monopoly" with Windows to foil competitors in other markets and hit the software giant with a record $613 million fine Wednesday. The proposed resolution in Minnesota follows two settlements earlier this month between Microsoft and major rivals. The computer software concern agreed last week to pay $440 million to InterTrust Technologies Corp. to settle a 3-year-old patent infringement lawsuit over technology for protecting music, movies and other digital content against piracy. On April 2, Microsoft agreed to pay Sun Microsystems $1.6 billion to settle a private antitrust suit and resolve patent claims.